This is the sixth in a multi-part series that explores and explains filing and winning a small claims court case. You can access the other parts by clicking here or just by scrolling down. When we last left off, you were in the process of choosing between a judge or an arbitrator or in a rare case, a jury. Now that you know who the "decision maker" will be, here is how to present your case, and win. A few basics: The person who brings the case, that’s you, has the burden of proving it. Thus, you go first. Someone is going to make you swear to tell the truth. Now you’re answering two questions: what happened, and how can you prove it? You should start with a general statement about the case and how you intend to prove it. Some courts let you give opening statements, others do not. It is always good to prepare something since it creates a coherent narrative for the court. Get down the chronology and what evidence you’re using to prove each fact. While every case is different at the very least bring your contract, or emails were you agree to do the work, proof you did the work, the invoices the defendant paid, if any, and any written evidence of the excuses they provided for not paying what was owed. Bring at least three copies of everything (one for you, one for your adversary, and one for the decision maker). If it’s a jury trial, bring at least six more copies of everything so you can hand the jury a copy of all the documents you’re using to prove your case. In the event of a jury trial, you’ll have to ask the judge permission to give stuff to the jury. The judge will examine the document, ask the defendant if they have an objection, and then rule on whether its “admissible.” If it’s anything normal (a contract, an invoice, a check) you should have no problem having it admitted into evidence. If it is anything more complicated, listen carefully to what the other side is saying and be ready to explain to the judge why the document you’re trying to show the jury is authentic and reliable (shows what you contend it shows). And if you are challenged on any piece of evidence, when your adversary goes to show the jury something, make sure you repay the favor and challenge it the same way your evidence was challenged. 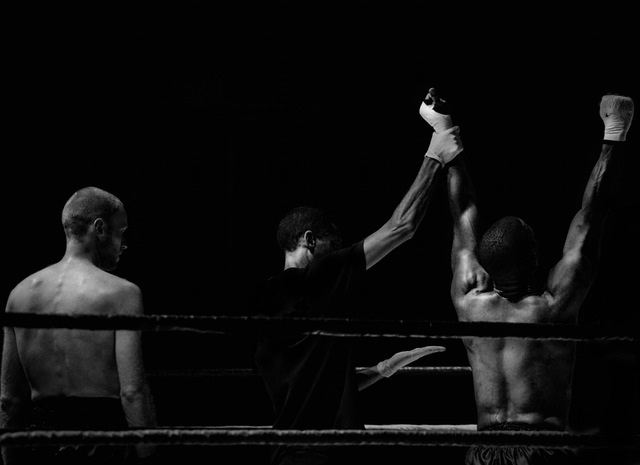 The number one rule of litigation is to never give up an inch without a fight unless the decision maker tells you to. The bulk of your case happens when you testify – sometimes called the “case-in-chief.” At a minimum, you should testify that you did the work, expected to be paid, but were not paid. You can expect the other side to testify the opposite. In their “direct” testimony, they are both going to say you were paid and you’re lying (unlikely), that you did not complete the project, that your work was sub-par or beyond the scope of what was agreed to. Any witness that testifies can also be "cross-examined." The cross-examination can either come from you or from the judge or arbitrator. You can expect the judge or arbitrator to ask less pointed questions, mainly aimed at clearing up anything they don’t understand as opposed to showing the weakness in your opponents argument. That is your job. So when the person who did not pay you claims they did, but in cash, you can ask about where he got the cash, how often he pays in cash, his process for tracking cash payments – all questions aimed at showing that he may be lying about paying you. If they say your work was beyond the scope of what was agreed to, then present them with any evidence that shows they asked for the additional work or that they were aware of the extra work and did not stop you. If they claim the work was substandard, be sure to ask them where in your agreement they are allowed to withhold payment for work unilaterally deemed substandard and make the point that they never asked you to revise the product before determining not to pay you. You can’t prove a negative, so don’t think too much about how to demonstrate you were not paid. Your testimony should be enough. If it’s a dispute about the quality of the work, you can testify that the work was fine. Or better yet get an “expert” to say that this work was fine. That is allowed, although the defendant is going to try to challenge the qualifications of your expert. The defendant can also present his own “expert” to say your work was substandard. You should try to convince the decision maker that the “expert” they present is not qualified. If you have a jury trial, you can expect the judge to make the determination about whether the expert is qualified before allowing the jury to hear what he has to say. The judge does not want someone who is not qualified to be influencing the jury. If it is just a judge or an arbitrator, they will be more lenient with allowing an unqualified expert to testify. They may even let them testify, and then say when they render the decision that they can’t rely on anything said. You should also always ask expert witnesses whether they are being paid and, if so, whether they have been paid yet. They are likely being paid, and if they have not been paid before the testimony, or will be paid more if the side they are testifying for wins, then the fact finder can conclude that they are not testifying honestly but will say anything to get paid. Just the fact that they are paid will generally make a substantial dent in the expert’s credibility. It’s also possible to have people testify who may not want to. You can do that through the “subpoena process.” We don’t generally recommend you try to coerce people to testify for you. It’s a time consuming process to get out a subpoena, you need to pay a “witness fee” and then you need to have someone serve it properly, as if that person was being sued. The penalty for failing to show up when subpoenaed is contempt of court. The biggest problem with the subpoena process is that you’re subpoenaing someone who does want to help you. So you’re going to need to examine a subpoena witness very carefully. It’s a skill that even most experienced lawyers lack. Pro-tip: regardless of what else you ask about, make sure to examine the defendant about their name and address if you have any questions about it. Ask specifically whether the name you have for them is the same one on their articles of incorporation or founding documents or, if an individual, it is their legal name. In the event you think you got it wrong you can ask the judge or arbitrator to change the caption of the case to reflect the correct name. If you don’t do this, and you have the wrong name, you’re going to get a judgment against the wrong entity or person. You will have trouble enforcing the judgment. You can also examine the defendant about their assets. Where do they bank? Who owes them money? Do they own a car? If you’re not allowed to ask these questions, ask the judge or arbitrator whether they can make the examination. As you will see in the next section, it is important. Small claims is not a “your way right away” type place. After you’ve put in your case, the judge or arbitrator is likely to reserve judgment and then issue something in writing in a few weeks’ time determining the case. They do this because (1) they need to think about it and (2) don’t want the parties to be near each other when a decision announced. That is just smartness. If you lose and your case was heard by a judge, you can appeal. But most claimants who lose in small claims court don’t appeal, and when they do, they lose most of the time. The standard for reversing a trial judge is very high. It’s almost insurmountable when the decision was rendered by an arbitrator or jury. If you do want to appeal, you have a set amount of time (typically 30 days) from the date you learned of your loss. You will likely need to file another document with the court, and pay a fee. If you win, congrats! If you’re winning, it means someone else lost. The loser – the person who is ordered to pay – very often appeals just to avoid paying. In most places, that does not work because an appeal does not “stay” enforcement of the judgment. To do that, your adversary will need to pay the money into the court, or buy a bond from a “surety” who will ensure that the money will be there if they lose the appeal. But that’s not your problem, it is theirs. If that is not done, and it won't be 90% of the time, don't let an appeal stop you from collecting your judgment. So assuming you won, and enforcement is not stayed, you’ll need to enforce the judgment to actually get money. We will deal that in the next part.